[LMU] – In collaboration with Head of Archives and Special Collections Cynthia Becht, and Reference and Instruction Librarian for Theology Desirae Zingarelli-Sweet, Theater Arts Professor Leon Wiebers and students in his Costume Research Methods course spent the Fall term investigating 19th century California Catholic vestments from William H. Hannon Library’s Department of Archives and Special Collections. Their remarkable research journey will be chronicled in the upcoming Archives and Special Collections exhibit “The Del Valle Vestments: The Devotion and Performance of a Matriarchy,” which will be on view beginning January 25 and continuing through May 7, 2016. Before Wiebers and his students took on the project, relatively little was known about the sumptuous vestments within the Ygnacio del Valle Family Collection – or the richness of their context. Donated by Josefa del Valle de Forster in the 1940s, the vestments were used in the family’s chapel on their homestead, Rancho Camulos. Camulos, which lies about 50 miles north of LMU, was established on land deeded by the Mexican government to Antonio del Valle in the early 19th century. Once the most famous rancho in California as the “home” of the fictional heroine of Helen Hunt Jackson’s best-selling novel Ramona (1884), Rancho Camulos is now a designated National Historic Landmark and museum open to the public. The del Valles, a prominent Californio family, played a significant role in the early history of Los Angeles from the Mexican period through California’s transition to statehood. They were renowned for their gracious hospitality, and their vibrant working ranch was a stopover for many leading officials and Catholic clergy and later, tourists. 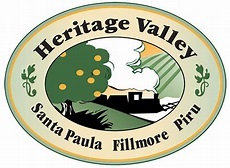 Through numerous visits to the Archives and Special Collections, the Rancho Camulos Museum, and several other institutions in the area, students in Theater 498 examined the historic vestments, their construction and production, the contexts of their use, and other del Valle family documents, photographs, and artifacts. 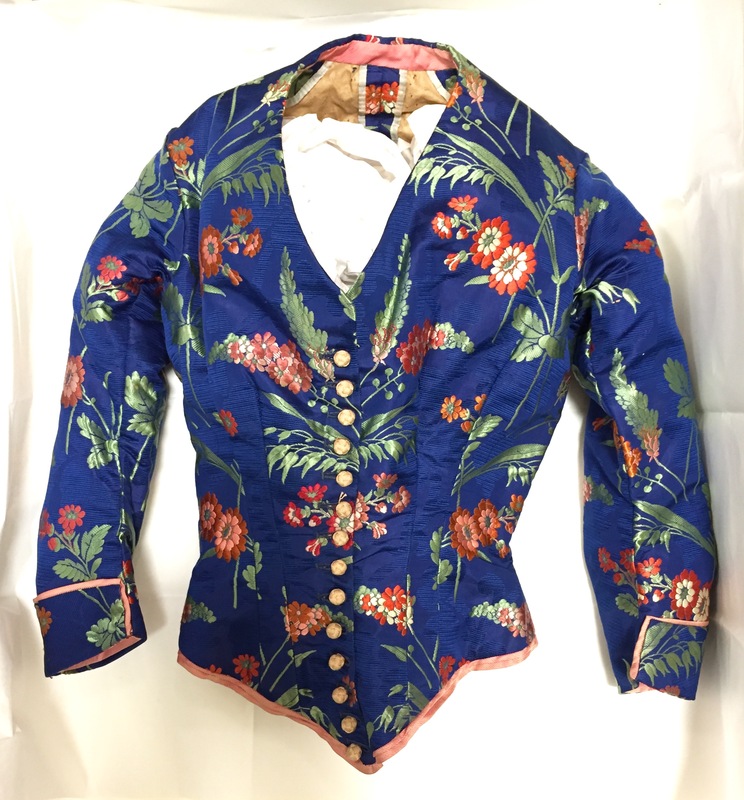 As the class worked to integrate this original primary research with secondary research into the family’s 19th century California context, the prominent role textiles played in the lives of the del Valle women came into view. These formidable women played leading roles in creating and sustaining the family’s image on a site where the very objects of their religious devotion were irrevocably intertwined with their social standing. The family’s regular performance of religious rituals and personal connections with prominent Catholic figures formed an integral part of this enduring image. The exhibit opens on January 25 and will be on view in Archives and Special Collections on the third floor Monday-Friday 8am-5pm until May 7, 2016.